Our second stimulating and very enjoyable day with a simply first rate Guide, who is an authority on the material she covered, placing sites into a vivid historical context. Barbara has an outstanding grasp of Polish history, with in depth specialist knowledge on the Second World War. She was able to make a complex subject both intelligible and interesting, and we ended our tour of Krakow feeling enriched and enlivened. She generously drove us to outlying areas in her own car, and her guiding around Nova Huta was all the more stimulating because she had grown up there. We highly recommend Barbara for anyone who wants a highly experienced and professional Guide. TOUR GUIDE RESPONSE: Thank you Joyce! It was such a pleasure to spend all this time with you! excellent guide, arranged our transportation, highly reccomend. Thank you very much, Barbara! We really enjoyed the 4 hours walking tour with you around Wawel, Old Town and Kazimierz. We can not think of a more friendly and knowledgeable guide! TOUR GUIDE RESPONSE: Thank you Claus. It was a pleasure. Barbara was an outstanding guide, full of energy and facts, very knowledgable. She clearly has a passion for what she does, was able to do work arounds when sites where closed, I strongly reccomend her to discover Krakow. TOUR GUIDE RESPONSE: Thank you Nancy! I had the pleasure of having Barbara as my guide in Krakow on Monday, 4th June. It was a very positive experience which I thoroughly enjoyed. 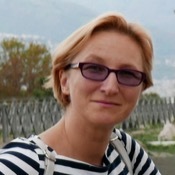 Barbara has great knowledge of the history of Krakow which she shares with passion and enthusiasm. I was delighted she took me to see Nowa Huta on the outskirts of Krakow where she highlighted the changing planning styles in housing through the various decades of the Communist era in Poland. I cannot compliment Barbara highly enough on the tour she provided for me. TOUR GUIDE RESPONSE: Thank you William. Couldn't have asked for a better guide for this portion of our trip! While our guided trip at Auschwitz was very heart wrenching in every respect, our guided tour of the Jewish historical places in Krakow in other respects was the highlight of our trip. TOUR GUIDE RESPONSE: Thank you Dan! Barbara provided an exceptionally informative and enjoyable customized tour covering Kraków old town, castle and other less typical sites including the fascinating former Lenin Steel Works and Social Realist Nowa Hute community where she lived as a child and her grandparents were early residents. I can't imagine how we packed so much into a day: history, politics, art, architecture and food! Excellent! TOUR GUIDE RESPONSE: Thank you Graham. It was a pleasure to be your guide.